Peter is an electrical engineer and research & development professional with over 12 years of experience. Peter began his career as a researcher at TNO, a Dutch research organization that believes in the joint creation of economic and social value. 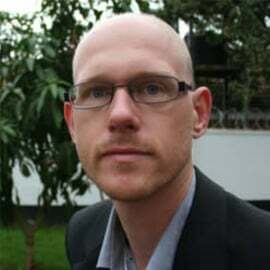 In 2009, Peter formed part of the original team at the Rural Energy Foundation (REF) as Country Coordinator in Tanzania. Since the transformation of REF into SolarNow, Peter has been in charge of a variety of functions from its very beginnings across R&D, IT, Operations, Finance and Logistics. Peter enjoys squash and cycling as well as keeping up to date with the latest technology trends.